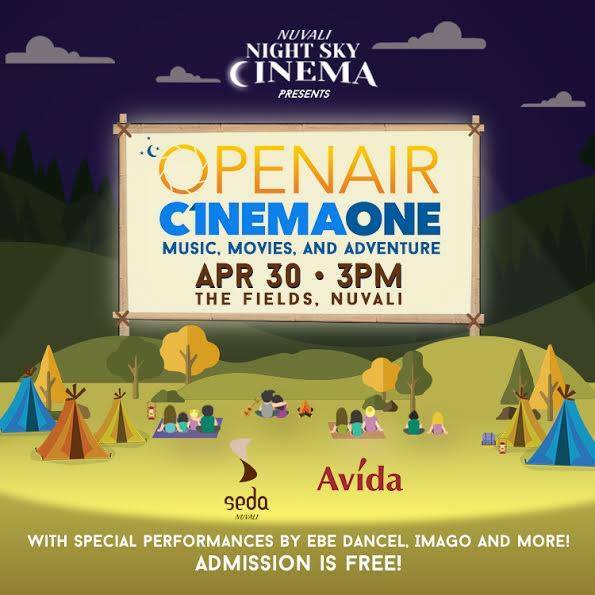 After a long absence, Nuvali's Night Sky Cinema returns once more to bring movies, music and many fun-filled activities for everyone to enjoy. On April 30, Saturday, at The Fields in NUVALI, all are invited for a fun, adventure-filled day with heart-stopping and adventure-packed flicks and memorable performances from favorite bands like Imago, Ebe Dancel, Clara Benin and Dane Hipolito. The gates will open starting at 3 pm. Admission is FREE so everyone is invited! 2 unforgettable movies will be shown. Indiana Jones and the Raiders of the Lost Ark starring Harrison Ford, Karen Allen, Paul Freeman, Ronald Lacey, John Rhys-Davies and Denholm Elliott. George Lucas and Philip Kaufman wrote the story while Lawrence Kasdan did the screenplay. It was produced by Frank Marshall and was directed by Steven Spielberg. It was first released on June 12, 1981 and has a running time of about 115 minutes. It was the first of the four franchises of the Indiana Jones films. In the movie, Indiana Jones, an archaeologist, battle it out with a group of Nazi Germans, who's trying to get possession of the Ark of the Lost Covenant, thinking that its powers will make them invincible. The next movie is Heneral Luna. It is a biographical film about General Antonio Luna and his leadership during the Philippine-American War and the state of the country under the First Philippine Republic. It stars John Arcilla, Mon Confiado, Arron Villaflor, Joem Bascon, Archie Alemania, Epi Quizon, Nonie Buencamino, Paulo Avelino, Leo Martinez, Mylene Dizon and Ronnie Lazaro. It was directed by Jerrold Tarog and was released on September 9, 2015. Going to Nuvali Night Sky Cinema is not a problem with the numerous entry points going to the area. 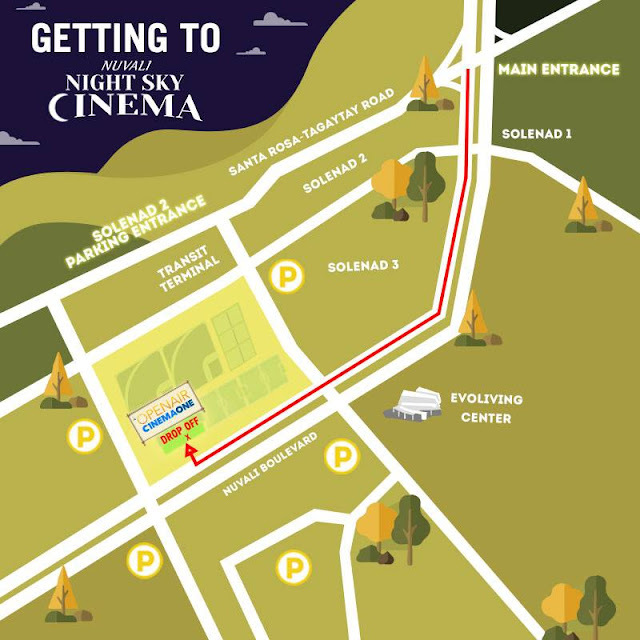 Just proceed to Field 3 by taking Nuvali Boulevard. Parking is also not a problem as Nuvali has allotted a number of parking areas. Additional parking is available at Solenad 3 and in front of the Evoliving Center. Not only the movies are worth seeing during the Nuvali Night Sky Cinema. 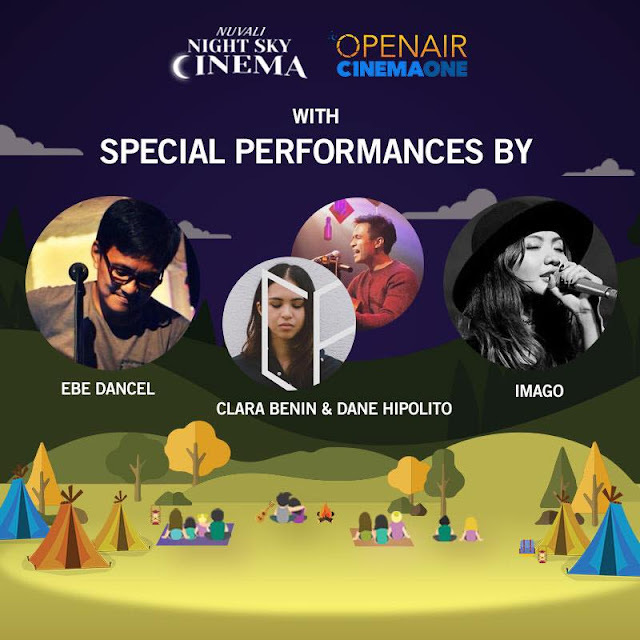 Also watch special performances by Ebe Dancel, Clara Benin, Dane Hipolito, Imago and more on April 30, Saturday at The Fields, in NUVALI. Remember, gates open at 3pm. Admission is FREE so gather your friends, barkadas and family members for a fun day of adventure, flicks, and music! SEE YOU ALL THERE!